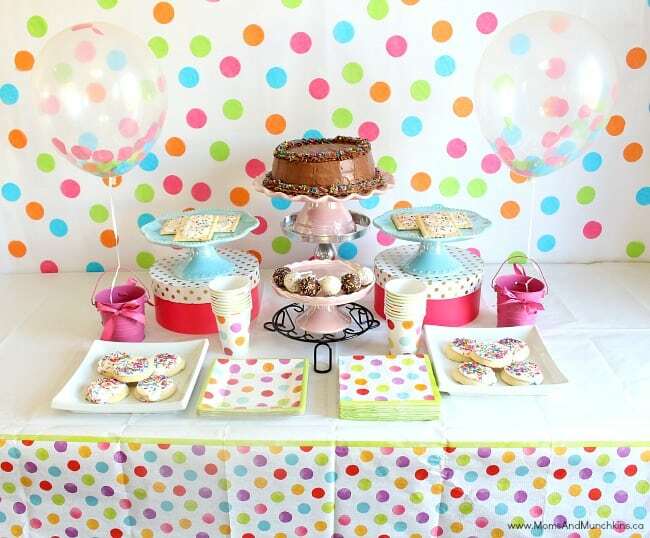 Colorful confetti, delicious sprinkles, creative balloons – it’s a Balloons & Sprinkles Party! I’m excited to share this cheerful party with you that’s been published in the latest edition of Pink Magazine SK. It was so much fun to put together and SO easy! I bet you already have many of the supplies at home! You can find the full article in the magazine including plenty of decorating ideas, food ideas, games, favors and more but I’ll share all the party photos with you here. 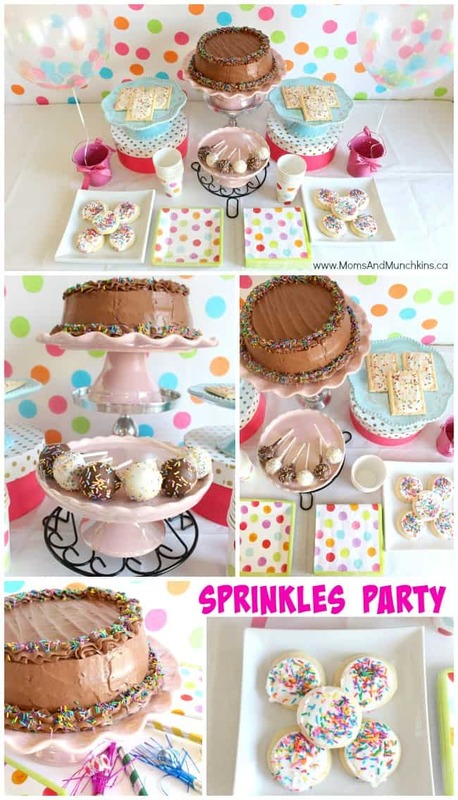 For even more fun ideas for this theme, check out our Balloons & Sprinkles Party board on Pinterest! There are so many great ideas for this theme and it works for so many different types of celebrations! 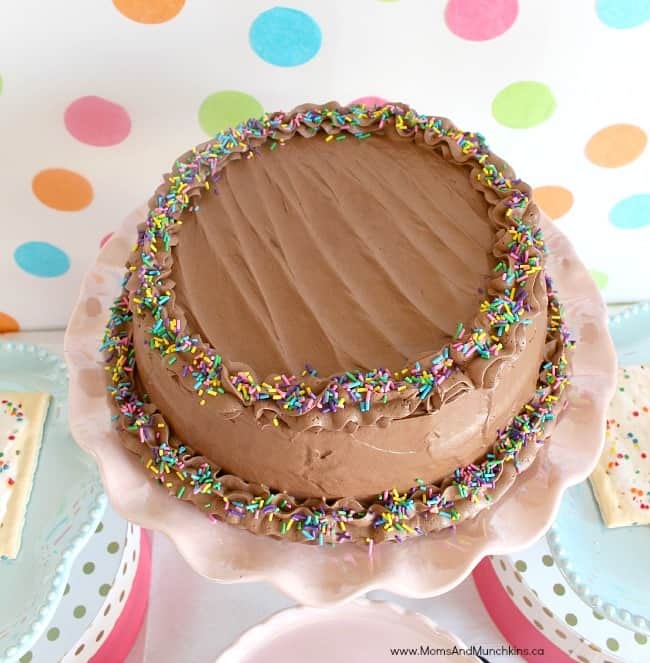 This delicious cake is our Banana Pudding Cake topped with chocolate fudge icing and sprinkles. It’s my mom’s favorite! Rather than make all the food myself, I purchased all the sprinkled treats I could find at the local grocery store. 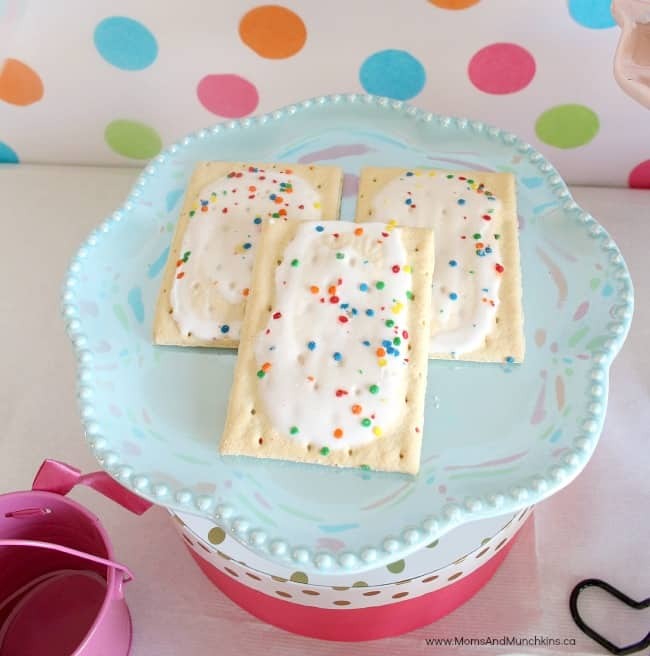 They had confetti Pop Tarts, sprinkled cake pops, and sprinkled cookies all perfect for this theme. 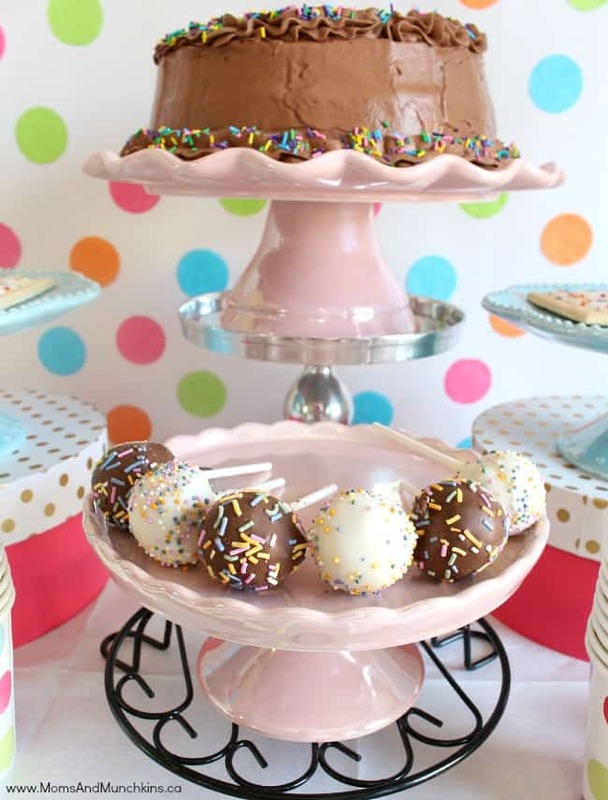 If you prefer to make your own treats, visit our Balloons & Sprinkles Party Pinterest board for a huge collection of mouthwatering Funfetti desserts! 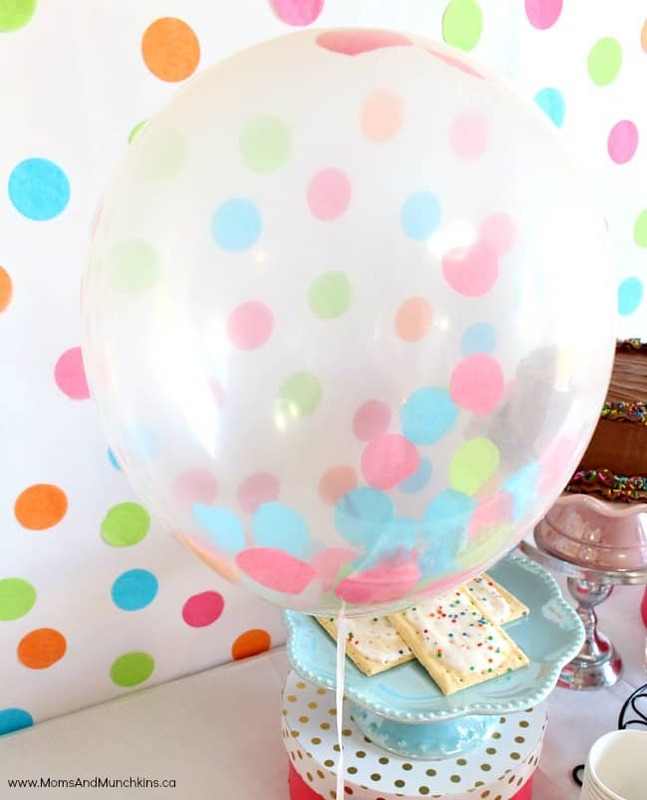 In the magazine article, I’ll share the super easy trick with you on how to create confetti balloons. You won’t believe how easy it is! 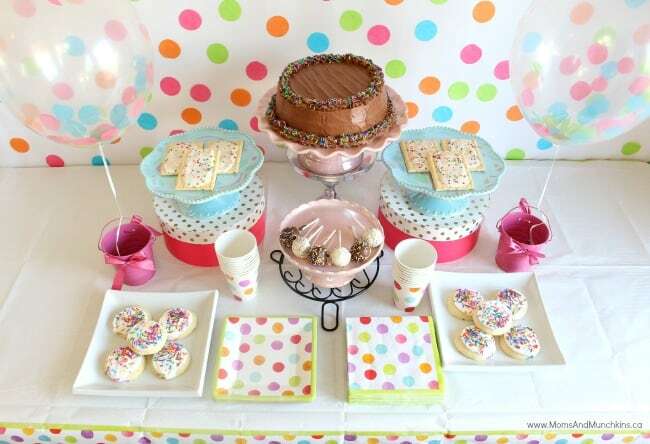 For more fun party theme ideas, visit our special Birthday Party page! We have ideas for all ages including decorating ideas, games, favors and more! 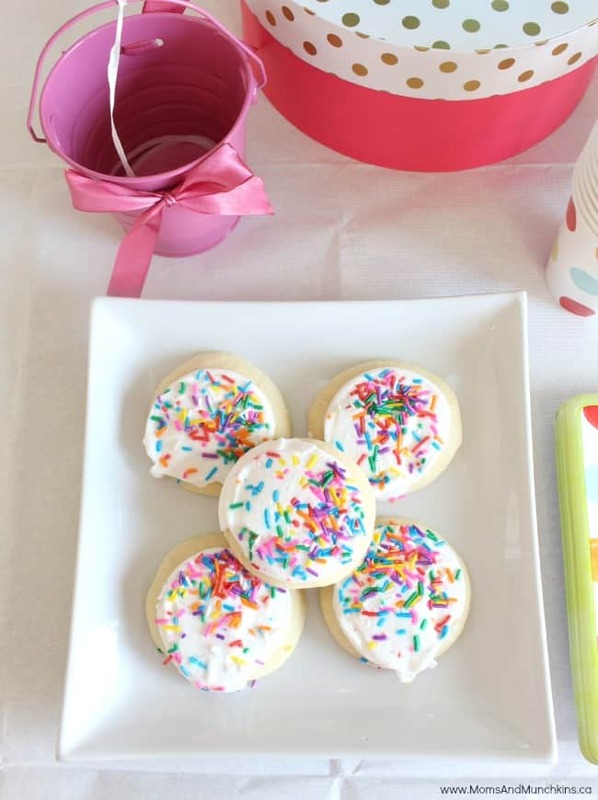 We’re always adding new party ideas so follow us on Facebook, Twitter, Pinterest, Google + and Bloglovin’ for the latest updates! 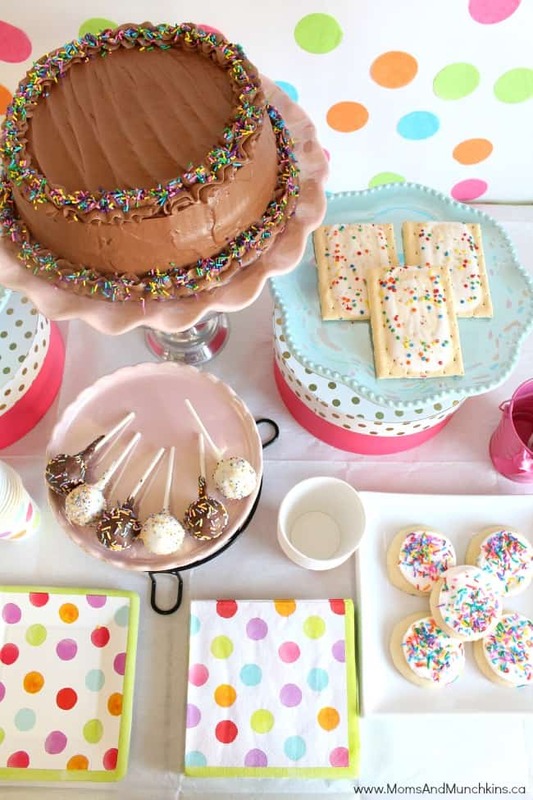 Have a party theme you’d like creative ideas for? Let me know and I’d love to help you search for ideas! I love this idea. Such a cute idea for any age, really. Thank you for sharing!